The Student Spotlight Series is an opportunity for Rose Hill Honors students to interview their peers in the Program and share the conversations with the broader community. For this article, Megan Schaffner, a current junior in the Program, interviewed graduating senior, Stephen Lebak. Stephen is majoring in Mathematics and minoring in Computer Science. He has been a dedicated member of the Fordham Pep Band since his freshman year and will begin an exciting job with Boeing after graduation this May. Within the Honors community, Stephen has become well-known and loved for his incredible baking. Megan: Was there something that drew you to your major and minor? Stephen: I did come in as a math major, but just as a math major. I had little to no interest in computer science [originally.] When Fordham made my first semester schedule, they put me in an introductory Computer Science course… I had a really good professor and she got me interested in the material. I felt like I understood it and enjoyed it, so I kept taking classes and tacked on the minor. I nearly switched to the major, but a lot of what makes computers run is based on linear algebra and math in the first place, so it seemed more logical for me to follow the math major. Megan: I hear you will be working with Boeing after graduation. I am curious to hear more about that. Stephen: [My interest in them] is something that’s come up over the past couple of years. The team I’ll be working on specifically programs flight simulations, which are then used to train air-force pilots. A lot of jobs in the contracting/defense industry are perhaps not as ethical as one might hope. So, especially after coming out of a Jesuit school [where there is an emphasis placed on ethics and justice], I was lucky to find [a job aligned with those values]. Megan: And where will you be? Stephen: The job is in St. Louis. Megan: Are you from around here? Stephen: Yes, I’m originally from Queens; I went to high school in New York and lived with my grandparents then. Before that, I was in Boston, where my parents still are. Megan: So is the move to St. Louis a daunting task for you or is it not too big of a deal? Stephen: It depends on the day. I will certainly say that sometimes it’s really exciting—I get to go to a new city, start from scratch. On other days, I’ll ask [myself], “What am I getting myself into?” It basically is a full overhaul. I do know one person there, but that’s really it, so it will be completely new. It’s exciting though; it should be fun. Megan: I’ve also been told that you’re quite the popular baker, so I was wondering if you’d want to talk a bit about that? Stephen: [laughs] Who told you that? Okay, so this goes back to my late high school days. Every now and then I would bake cookies, except I lived with my grandparents and my grandfather immediately would go on a diet and my grandmother wouldn’t eat them either! And then I’d have all of these cookies. So I would bring them to school, feed my lunch table, all that kind of stuff. That carried over to Fordham, [especially] last year and this year, since I live in an apartment where I have my own kitchen. It’s the same logic: I’ll make a batch of cookies and I can’t eat all of them. So I go around, distribute them to friends, many of whom I have met through Honors, one way or another. It’s also a great way to see people and catch up, talk—and then they get a cookie out of that. Megan: Do you have a signature baked item? Stephen: Yes, chocolate chip cookies are my signature. Not particularly fancy, but a classic. Megan: And well-loved by all! So, in terms of Honors, do you have either a favorite thing about the program, or a favorite memory, looking back now that you’re just about done? Stephen: There’s definitely a few! I would say the fact that you’ve got 13 kids per class, really. The fact that you can have really close discussions in basically every single class because of that [is really special]. Also, the nature of the class brings everyone together really fast. By the end of the first year, my [cohort] was very tight-knit. Megan: Yeah, that’s really great! Do you have a favorite Honors professor? Megan: What’s one thing you’ll miss most about Fordham? Stephen: I have thought about that one a little bit because Pep Band season just wrapped up. The [women’s basketball team] won the A10, so we went to the NCAA tournament in Syracuse and that was basically my last game. Other than Honors, Pep Band was a really good group for me; I met a lot of my close friends there. I’ll also miss the Honors Program. I’ll miss having a community around me of people of that caliber of intelligence and being able to hold discussions with them about virtually anything—that’s going to be something that I don’t think I’ll be able to find outside of Fordham or really anywhere. So I’ll certainly miss that. In terms of what I’m excited about, I’m moving out to St. Louis and I’m starting from scratch. I’m excited to start over and build up a great group around me, or try to! I think it’s something that certainly daunting as a task, but it’s one of the most rewarding things. I’ve done it twice now—once in high school and once at Fordham—and it really is just so rewarding. And I think Fordham prepares you well to do that by teaching you to care for the whole person, teaching you how to think and connect, and giving you the knowledge base to be able to connect with other people. It all prepares you well, and I think it’s prepared me well to do that [in St. Louis]. After meeting through the Rose Hill Honors Program, seniors Kacie Candela and Andrew Seger started working together on their WFUV podcast, Prickly Politics. The podcast covers a range of topics, providing crucial information for the everyday listener to become an informed voter in New York elections. With two complete seasons, Prickly Politics has gained attention and traction, receiving shout-outs from multiple New York reporters and WFUV alumni. Kacie and Andrew recently spoke to me about the podcast’s beginnings, both past and future projects, and how their work on Prickly Politics has shaped their experiences in Honors. Q: Can you introduce us to the podcast? Kacie: The podcast is called Prickly Politics– prickly like a cactus. It started two years ago and I was one of the original co-hosts. Andrew came on for the second season, and we were covering Mayor De Blasio’s 2017 election for his second term. Then this last election season, we covered the midterms in New York, focusing on Governor Cuomo’s race, the Democratic Primary with Cynthia Nixon, the Attorney General race — which was a surprise race because Schneiderman had to step down last year –and other crazy midterm and state legislature [elections]. Q: So how did the podcast get started? Kacie, you said you were an original member? Kacie: We definitely saw a need at the [WFUV] station for a politics podcast, because a lot of our day-to-day coverage, which Andrew and I have been doing for years, is day-of or day-to-day press conferences. It’s not really a zoomed-out guide for voters to be educated moving into an election season. So, for example, if you care about the environment, [we cover] what you need to know about the candidates’ stances on the environment for you to be an educated voter. We spent an entire episode talking about that, talking about the [environmental] issues in New York state, and talking to a Green Party candidate. Andrew: I think the big idea was to be a go-to resource for all things on the election, whereas if we were doing day-of reporting on, say, Governor Cuomo talking about an issue, this kind of [big picture] stuff gets swept under the news cycle. [We wanted to have], like Kacie said, episodes devoted to topics, [such as] months of a candidate’s policy stances and speeches — just being able to be the resource for people wanting to know what’s going on in the election. Kacie: It’s for the everyday person. A lot of talk shows are geared towards insiders who are following the day to day, political nitty-gritty, and we were hoping to reach a wider audience of people who may not know anything about local politics and just want to be able to make a good decision on election day. Q: Has the podcast grown or changed in any ways you weren’t expecting? Andrew: I think we got a solid following this season. That didn’t [necessarily] surprise me, but I was impressed by how much of a reach we had and how many influential reporters or political heads listened to us. We got a lot of shout-outs on Twitter from big New York politics reporters. Scott Detrow, a WFUV alum and the NPR congressional correspondent, is a big deal and for him to shout us out on Twitter, it’s a really rewarding feeling to know that people are listening and people are taking stuff away from this. Kacie: And on that note, FUV has provided us with a network of really amazing, supportive reporters who have maybe stayed in New York, maybe went national, who want to support people who work at FUV and our work. We’ve had a handful of FUV alums who are still covering New York politics join us on the show about what they’re covering right now. Having their support, their Twitter retweets, things like that, has made us feel like we’re part of this wider community. Q: Has being involved in this podcast shaped any of your course decisions or the way you approach Honors course readings or classwork? Andrew: Actually yes! It’s been very helpful tying in current events to different course topics, especially studying the Modern period [in the Honors curriculum]. For example, in an economics and ethics class with Professor Mary Beth Combs we focused on contemporary issues that we know are affecting New York. Or, in [our modern religion class], knowing what’s going on in New York’s Jewish community and the political turmoil surrounding that. In the craziest circumstances, I can say “Oh, this is going on in New York right now!” and it relates so perfectly to what we’re talking about in classes now at the end of the Honors curriculum. 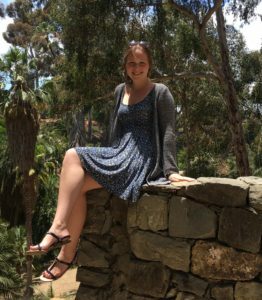 Kacie: I have a lot of distinct memories of incorporating things that I’ve experienced working at FUV in my Honors classes and I think that more than half the time, the professor [had no idea]. It’s so interdisciplinary because the things we learn about in Honors are applicable to Society [as a concept], and things we cover at FUV are societal problems of poverty, healthcare, immigration and education [at a local level]. Things that we’ve learned about in a global, historical context still relate to New York. Q: What’s next for Prickly Politics? Andrew: So we’re working on a new season of the podcast which is a little different than the way the other two have worked. They’ve been elections and political coverage, and now we’re doing a deep-dive investigative series into the problem of sexual harassment and misconduct in Albany. Within the State Senate and Assembly, there’s historically been this culture and tolerance of corruption and misconduct, so we’re doing a little bit historical, but mostly recent, overview talking with survivors who have lived through this harrassment, either in Albany or in different district offices around New York City and New York state. We have already talked to legislators who have served alongside these perpetrators and [we are hoping to] also talk to new faces who are bring change to the issue — either new politicians who are entering their first time in office or advocates who are taking a stand against the sexual harassment in Albany. Kacie: The incidents we are looking at are from the last 20 years or so, basically the start of the century until now. Some things have changed, but some things haven’t, and our hope for the project is that we can shine a light on how the institution of the New York State Legislature and ethics bodies have really failed survivors of workplace harassment and misconduct and how efforts at reform have been successful thus far, looking to the future. It’s probably my favorite thing I’ve ever worked on – and that’s saying something because I love covering elections. Andrew: We’re looking forward to it! It’s exciting, but there’s still a lot of work to be done. Kacie Candela is an IPE (International Political Economy) double major and Philosophy minor. She will be attending law school after graduation. Andrew Seger is an IPE major and Philosophy minor. He hopes that his two past internships at CNN will help him land a job there in May and plans to pursue a career in news production. Check out all of the Prickly Politics podcasts on their website (https://pricklypolitics.atavist.com/) and follow them on Twitter @pricklypodcast! Katie DeFonzo is a graduating senior in the current Honors class who is incredibly involved on and off campus. Double majoring in History and Spanish and minoring in Medieval Studies, Katie works as a research assistant for The Bronx African American History Project through Fordham’s history program. 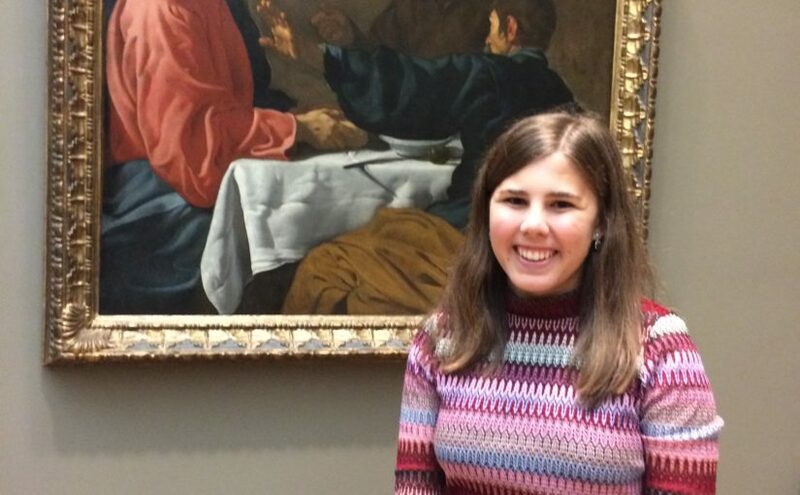 She also gives tours of the Fraunces Tavern Museum in Manhattan, acts as an ESL tutor at St. Rita’s Immigration Center, works on both the Copy Editing and Peer Editing staffs of the Fordham Undergraduate Research Journal, leads retreats through Campus Ministry, plays second violin in the orchestra, and sings in the Schola Cantorum. Finally, she has been involved with the Honors Service and Social Justice Committee since its beginning and has become one of the committee’s chairs, passionately helping to plan events that allow Honors students serve their community. 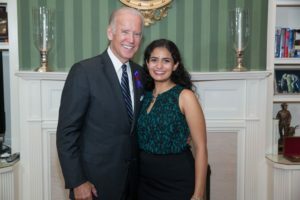 I had the chance to speak with her about Honors, her role in the Service and Social Justice Committee, and her post-graduation plans. From your time in Honors, do you have a favorite event or a favorite thing about the program in general? I really like sophomore year, being able to go to the [AJCU] Honors Conference. In terms of my favorite part about the program in general, I like how cohesive it is and how you can see a lot of continuity between classes; I love when something we are talking about in literature comes up in my history class. I’m really looking forward to the Last Lecture tomorrow and I love the community and the events we have, like the Christmas party and the barbeque. I like how it’s more than just a learning community — it’s a community of friends in a lot of ways. So you mentioned that you’ve been a chair of the Service and Social Justice Committee basically since its beginning. How did you become involved with that project? Sophomore year when Dr. Keller became the director of the [Honors] program and started the Student Advisory Council, she asked us what we wanted to see, which was really nice. Someone put forth the idea that there should be a committee for service and social justice and that seemed really interesting to me so I put my name on the list. My junior year I became a chair [of the committee] and started to help plan the events that we do. It’s been really rewarding and I’m happy that I became involved with that subcommittee in particular. What is your favorite event that you’ve done with that group? We’ve done a lot of different things, but I really like one program we did earlier this year, which involved distributing food to residents in an apartment complex in the Bronx with Meals on Wheels. That was really special because we got to meet and deliver food personally to each resident so we could see immediately where our help was going. What are your post-grad plans? I’m going to Catholic University in Washington, D.C. for their dual Masters degree program in history and library science. I chose [that program] really because of the internship I had over the summer at the Museum of American History in D.C.; I realized how important not only a knowledge of history is, but also how being able to make that history accessible to people really matters. I think that this dual Masters degree program will be a great way to do that. Jennifer Rutishauser, a pre-med double major in biology and history, will be graduating in the spring as the Valedictorian of the Class of 2017 and is planning on working in the realm of pediatric oncology. 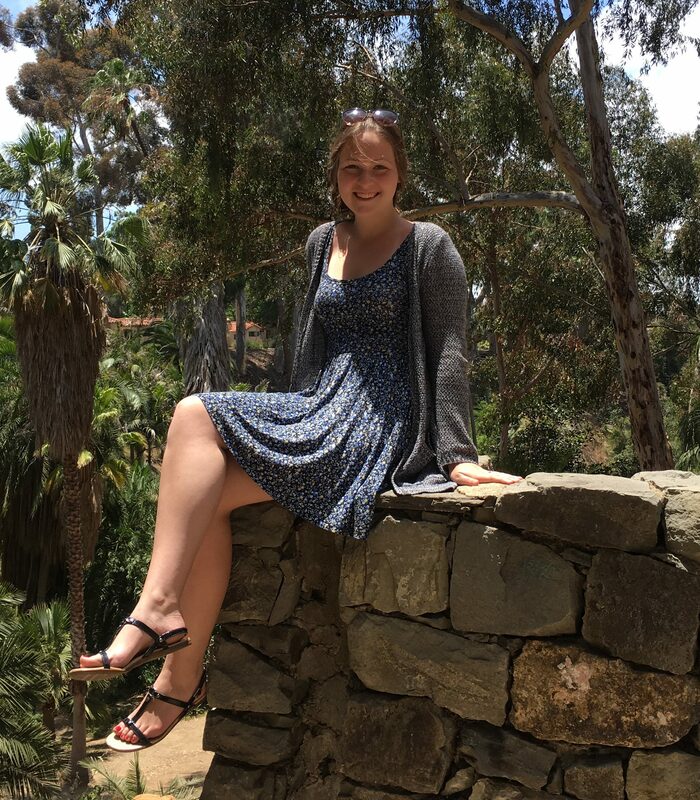 I had the opportunity to talk with her about her favorite moments in the Honors program, the research she has done for her senior thesis, and her plans for after graduation. Q:What are some of your favorite things about Honors? Do you have a favorite memory? Jenn: I really like the social community you get with Honors; obviously, freshmen and sophomore year you’re in the same class with all the familiar faces but it also establishes who your best friends are. For me, all of my best friends that I have now are people that are in Honors even though we don’t have classes together now. It established my group for college. I also just really like how Honors set me up to do better later in college; it gave me a really good foundation in terms of it being strenuous but giving me good writing and foundational skills. My year of Honors we played a game of Assassin sophomore year. At our interdisciplinary seminar it was down to three of us and we had this rule where if you were holding a spoon you were safe; so I was holding my spoon and one of my friends, Dom, who was also still in, was holding his spoon and Dr. Keller, who didn’t know me because I hadn’t been in her class, came up and we were explaining it to her. She was like, “Oh so if I take Jenn’s spoon you win, Dom?” and he told her yes so all of a sudden she came up behind me and started attacking me to get the spoon. This was basically my first interaction with Dr. Keller so that was pretty great. It’s so hard to pick one favorite memory because I feel like there’s so many but that’s one that sticks out. Q: What is your Senior Thesis about? Jenn: I’m examining the role of a particular protein in the process of cell differentiation. So differentiation is a process through which a cell becomes committed to a certain phase, and so I’m looking at skin cells. The cells that we see as skin are terminally differentiated and I’m looking at the effect that this protein called PYK-2 has on differentiation. The main way that I’m doing that is that I’m looking at a cell line that has this protein and then at another where this protein has been removed and then you differentiate the cell lines in tandem and see what the differences are between the two. Q: What are your post-grad plans? Jenn: I’m applying to medical school this June so I’m not going straight in but I definitely still feel very strongly and passionately about going into medicine. I just recently got accepted into a gap-year program at Kuchnir Dermatology & Dermatologic Surgeon (KDDS), which is a private practice outside of Boston that has developed a program specially intended for students on their gap year between college and medical school. I’ll be acting as a medical assistant, basically doing anything that you can do without a medical degree, so assisting the doctors and gaining clinical experience. I’m really excited about that; I’ll be there from June through July 2018 so the idea is that’s what I’ll do while I’m applying and going into medical school. Monica Sobrin, a Women’s Studies and English double major with a minor in history, was initially drawn to Fordham because of its focus on being “men and women for and with others.” The emphasis that the university and its professors put on social justice and improving society strongly influenced her career path, allowing her to become the impressive advocate that she is today. During her sophomore year, Monica was very involved in anti-sexual violence activism on campus. in the middle of the fall semester, she joined student activists from all over New York City to found the Students United Organization. This group collaborated with government representatives to change and advocate for the Enough is Enough legislation, which was passed in July 2015 with aspects of all four of the Students United Organizations’ main additions. Monica Sobrin, pictured with Vice President Joe Biden, after speaking at the White House as part of her involvement with It’s On Us. “I just had so many amazing mentors who were juniors and seniors, mostly from Columbia [University]. They mentored me and helped me build my network and my confidence about things that I was really passionate about. I wanted to be this mentor for others.” As the sole representative from New York and one of six in the northeast, Monica acts as a liaison between students, government offices, and national partners in order to help individuals enact change on their own campuses. More recently, Monica worked in the New York office of U.S. Senator Kirsten E. Gillibrand, handling casework and interacting with constituents to aid them in connecting with federal agencies. She noted that her work in the office was bittersweet, being that they were able to save lives in some cases, but were also acutely aware of how many people they would not be able to help.